Is it snowing in Les Mosses - La Lécherette ?¡Gracias! Les Mosses - La Lécherette, in Switzerland (in the Lake Geneva region), is a large resort with 12 lifts that offers skiers a respectable 488 metres (1600 feet) of vertical descent. 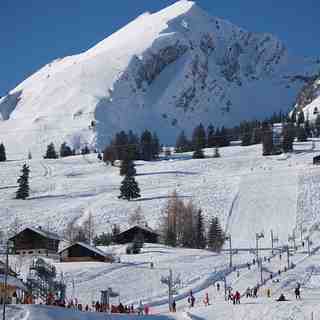 The area has 13 pistes with a total length of 40 kilometers (25 miles). 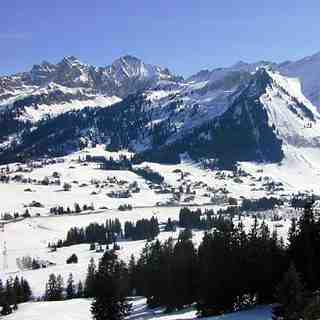 It is best suited to beginner skiers and snowboarders but there is some terrain for intermediates but little of interest for expert skiers. 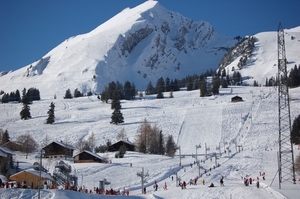 There are 42 kilometers (26 miles) of cross country ski trails at Les Mosses - La Lécherette. For snowboarders, there is a terrain park. The nearest airport is at Geneva. 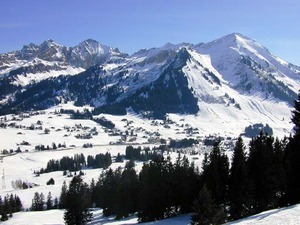 The resort is connected to Leysin, bringing the total lifts to 29 (inc 1 cable car) with 33 slopes and 1 half-pipe. The top lift in the area is at 2205 m. (summit 2331 m.) Snowmaking is available along with 16 restaurants and 12 bars.